People know about you, only your friends know all about you, and only your bestfriends lived those memories with you. Share this cute friendship quotation with your bestfriends and say to them that they are the ones who had lived your memories with you. 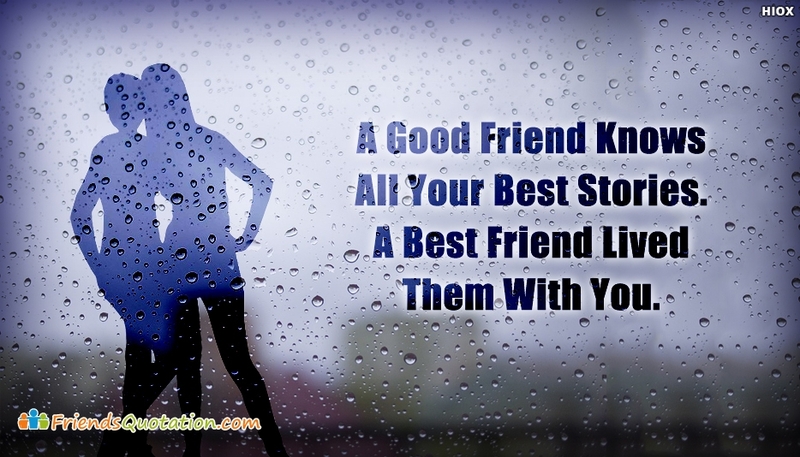 Share this picture and say to them that "A Good Friend Knows All Your Best Stories. A Best Friend Lived Them With You".